Spain’s second division gets little or no attention from the English-speaking media – and why would they? 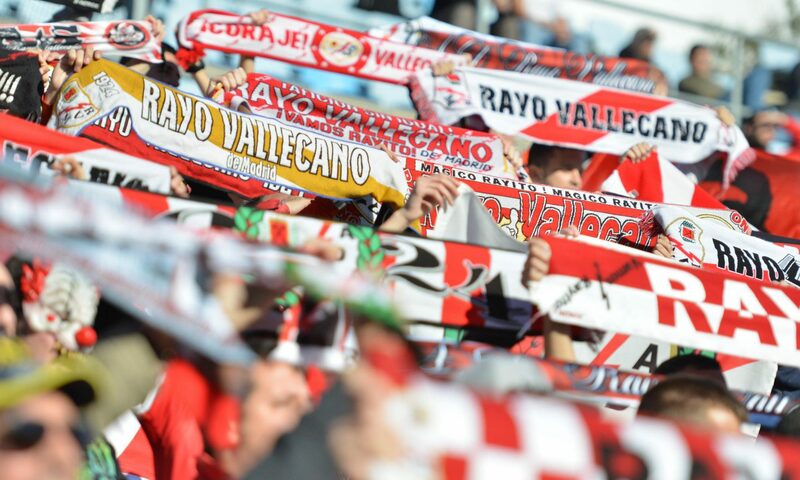 But Rayo Vallecano are that little bit different, a little offbeat, sometimes off-kilter and always interesting. They have a habit of making noise in national and international press even when they are in Spain’s second division and beyond. The author with Roberto Trashorras. In this book, I interview journalists such as The Guardian’s Sid Lowe, Author of Ghosts of Spain Giles Tremlett, ESPNFC’s Dermot Corrigan, and Phil Ball, prominent Spanish journalists Carlos Forjanes and Carlos Sanchez Blas with guidance and help from Juan Jimenez Mancha – the man who literally wrote the book on Rayo (in Spanish) and Paul Reidy – the official unofficial Rayo Vallecano tour guide in English and a fan of the club through more than two decades of horrible heartache and fleeting euphoria. I also interviewed people such as former Rayo manager Pepe Mel, current players Roberto Trashorras and Adrian Embarba along with current manager Míchel. I spoke to sociologist Ramon Spaaij and Spanish historian Stephen Drake Jones. In addition to that, the Bukaneros are one of the most noticeable and noisy group of ultras in world football. 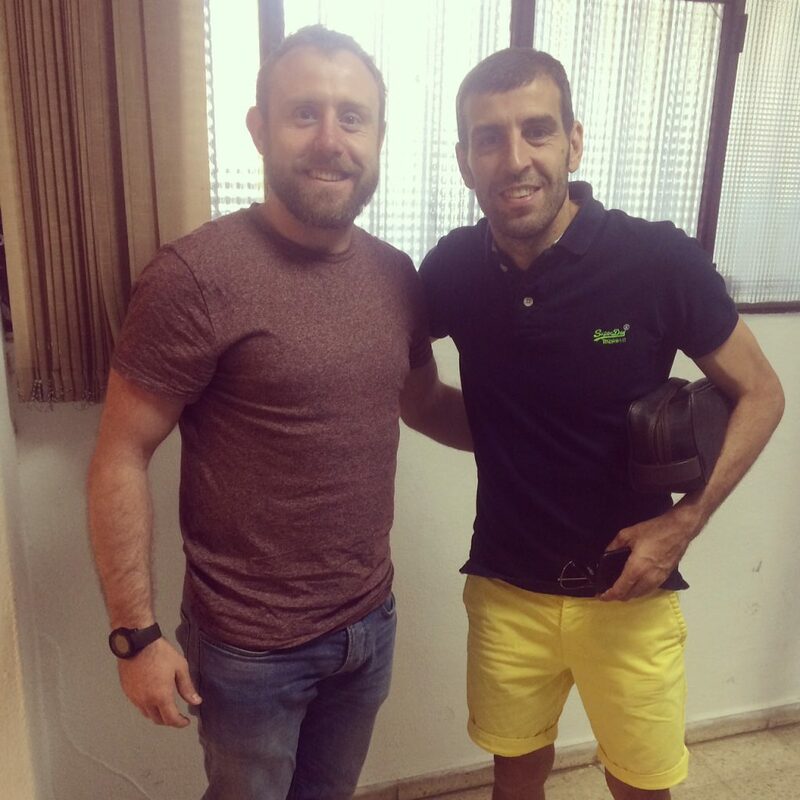 I spoke with them to understand how it feels to be a left-leaning group a footballing world that is now ruled by money and got to understand some of the most important moments in their history that had and have implications that reach far and beyond the barrio and the world of football. The Bukaneros with a typically colourful banner at a home game in Vallecas.